Sinsinawa Art Gallery, Sinsinawa, Wisconsin, presents “Nativities of the World” Dec. 3, 2015–Jan. 3, 2016. 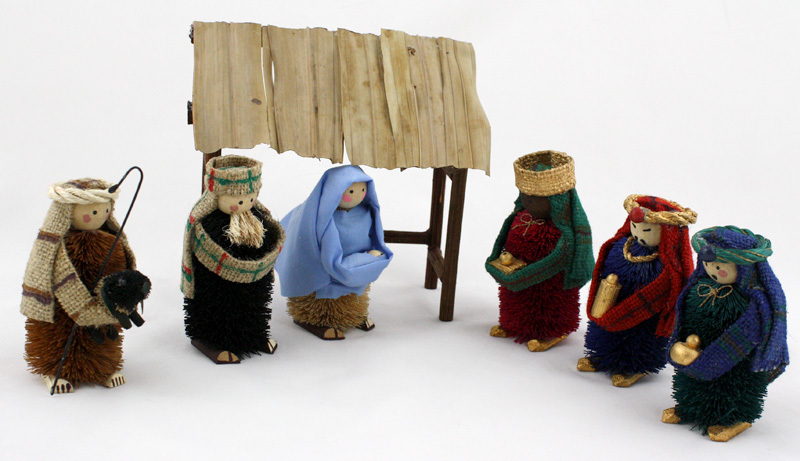 This exhibit features handcrafted nativities from lands near and far including the United States, Germany, Tanzania, India, Venezuela, Ecuador, Jerusalem, Peru, Russia, Ireland, Kenya, and many more countries. The art gallery is open 10 a.m.–5 p.m. daily. More art, gifts, and books are available in the Sinsinawa Book & Gift Gallery, 10 a.m.–5 p.m. Monday through Saturday. For more information, contact Michelle Till at (608) 748-4411, ext. 849, or visit www.sinsinawa.org. Sinsinawa Mound, the motherhouse for the Sinsinawa Dominican Sisters, is located in southwest Wisconsin on County Road Z, off Highway 11, about five miles northeast of Dubuque, Iowa.